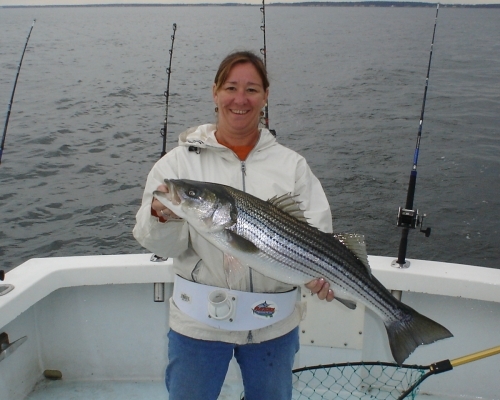 My Girl Charters specializes in providing customers with timeless memories after spending a day out on the scenic waters of the Chesapeake Bay. 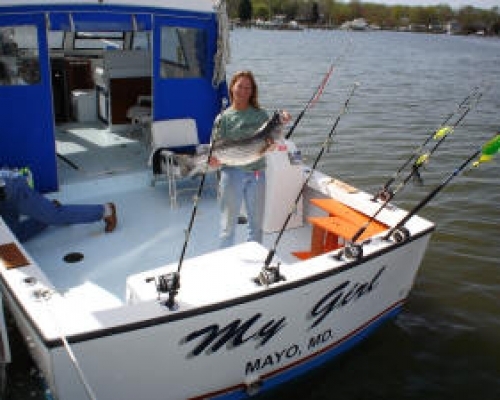 Located just 15 minutes away from Annapolis and only an hour from Baltimore, Washington DC and Northern Virginia, My Girl Charters has become a preferred destination for tourists and locals in search of an unforgettable day outdoors. Take a look at the different the services we offer. 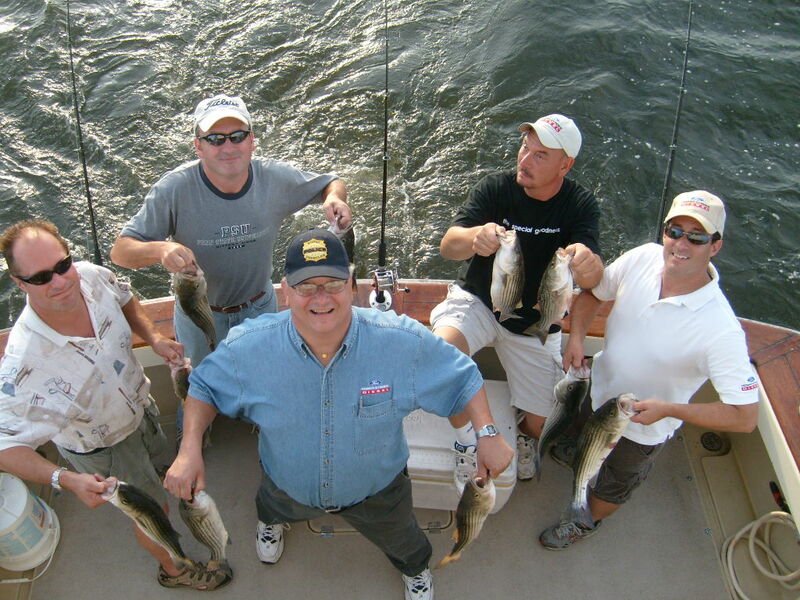 Fishing charters are thrilling adventures for anglers of all experience levels and ages. 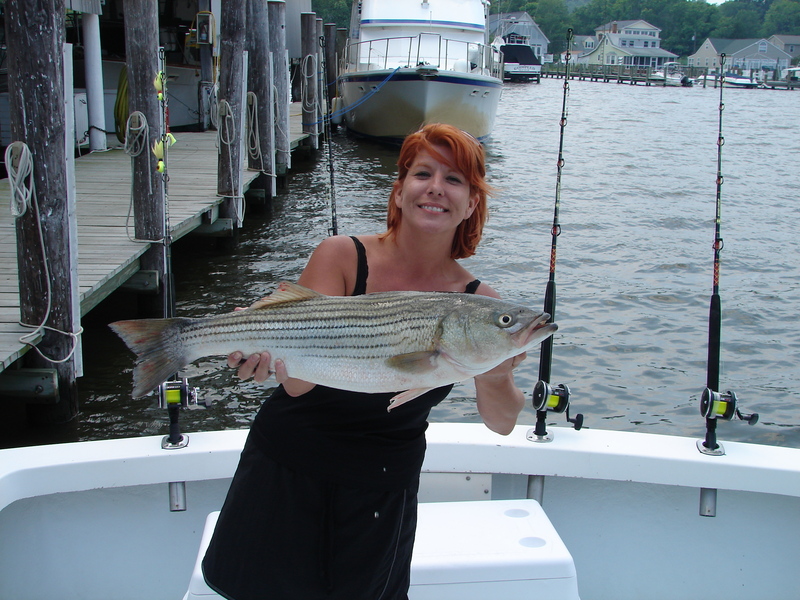 My Girl offers Chesapeake Bay fishing charters where our customers have the opportunity to catch a variety of fish, including striper, rockfish spot, perch and more. We take our customers on our 35-foot Crusader (named “My Girl,” of course) decked out with the latest fishing equipment and boating technologies, including VHF, GPS, Loran and Chartplotter. “My Girl” is powered by a 300HP Cummins Diesel, is extremely comfortable, and even has an enclosed cabin with a fully enclosed private head. Steve Murray, our beloved captain, has been fishing in the area for over 20 years, and while the GPS system and other technologies are nice, he could probably find the best fishing spots blindfolded! A member of the United States Coast Guard, Steve has both his captain license and his Maryland fishing guide license. Steve and his mate will surely make your day even more special, and they are there to help however they can, even if you have little to no fishing experience. 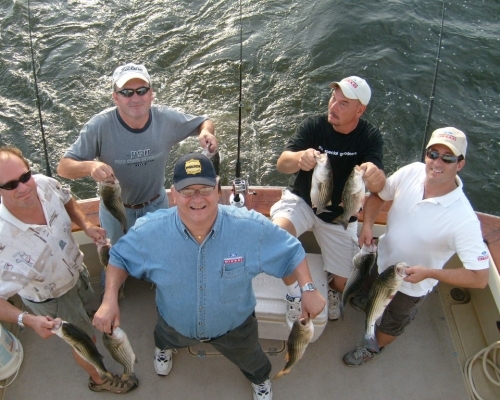 Fishing Charters are a wonderful endeavor for a variety of events, including but not limited to bachelor parties, corporate outings, family days, birthday parties and more. As well, they are a unique way to host a client or catch up with friends you may not have seen in a while. 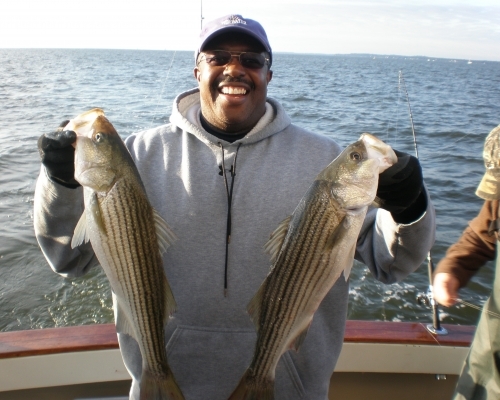 Regardless of your age, we promise you will have a wonderful time on one of the fishing charters! 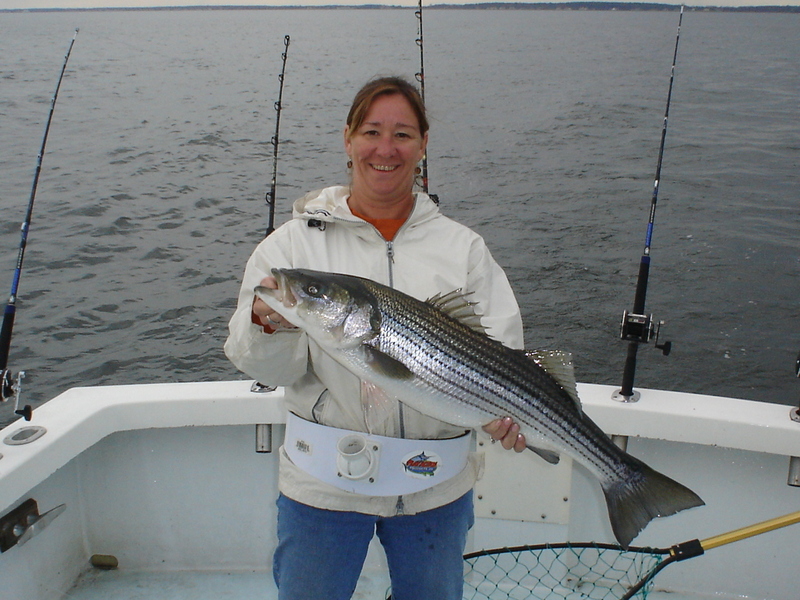 For more information, remember to look at our fishing charters page. My Girl Charters also offers blue crab charters in Annapolis, Maryland, that are fun for the entire family. We handle all of the details and provide you with the equipment, line, bait and license you need to go search for famous Maryland blue crabs. Crab charters often coincide with our bottom fishing charters, where we help our guests fish for perch, spot and hardhead. When there is enough time, we always strive to include a bottom fishing journey to make you day even more memorable. For more information, please be sure to check out our crabbing charters page. Are you looking for the perfect setting for a romantic evening with your significant other? Do you wish you could find an event your entire family or group of friends could enjoy? 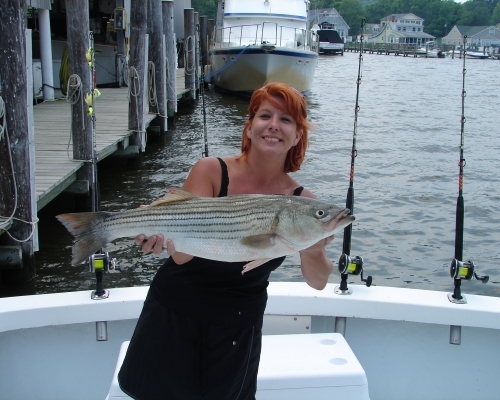 If you answered yes to either question, then a boat tour in Chesapeake Bay with My Girl Charters could be the perfect solution to your needs. Our cruises and boat tours are relaxing and entertaining, as we take you on a tour of sites around Annapolis, as well as around St. Michaels and Baltimore’s Inner Harbor. Among the different sites you will see is the Thomas Point Lighthouse and local waterside restaurants. We are very convenient to Annapolis and other nearby locations. Our boat cruises provide you with the opportunity to enjoy a fun day outdoors in nature, all on the beautiful, relaxing waters of the Chesapeake Bay. Whether you are celebrating an anniversary, a birthday or simply want to go on an outdoor adventure with your family and/or friends, a relaxing boat cruise with My Girl Charters could be just what the doctor ordered. Please see our cruises page for more information. Our team is renowned for their friendliness and superior customer service, and we are fully confident that regardless of which service you select, you and your group will have an outstanding time. Please note, we have rates for half day and full day excursions. We tend to book up quickly when the weather is nice, so it is wise to book your outing with My Girl Charters as soon as possible. If you have any general or specific questions, or if you would like to learn more about one of our services, please do not hesitate to contact us today.